If you were hurt as a pedestrian in an accident on the sidewalk, on a crosswalk, in a parking lot, or elsewhere, CHASENBOSCOLO is here to help you. We fight for justice and fair compensation for those who have been hurt through no fault of their own. We have built a reputation for helping injured individuals across Virginia, and we’re ready to stand up for you and your family. The Virginia pedestrian accident attorneys at CHASENBOSCOLO represent both residents of and visitors to communities all over Virginia. Call (703) 538-1138 or contact us online to receive a free consultation. Do I Need A Pedestrian Accident Lawyer? You may believe that fault in your accident is apparent and that a negligent driver’s insurance company will have to cover all of the damages you have sustained. In truth, insurance companies rarely ever roll over and pay out injury claims without first attempting to minimize somehow or even deny a claim. One of the first tactics an insurer will take is to seem friendly and concerned, but then use a victim’s own words against them to argue that their own negligence contributed to or even caused their accidents. For this reason, you should always refuse to provide any recorded statement when offered to do so by an insurance company. Another common tactic for insurance companies is to offer a victim a lump sum settlement quickly. Unfortunately, while victims often are eager to collect anything that could help them with their immediate expenses, the amount offered by the insurance company is rarely what your case is actually worth. You want an attorney because they will be able to work towards helping you recover as much compensation as possible. A lawyer will also be able to conduct an independent investigation of your accident so important evidence can be collected, and all liable parties can be identified. CHASENBOSCOLO includes a team of 25 attorneys and over 90 professionals with over 100 years of combined legal experience. We have made taking care of our clients our top priority since our founding in 1986. 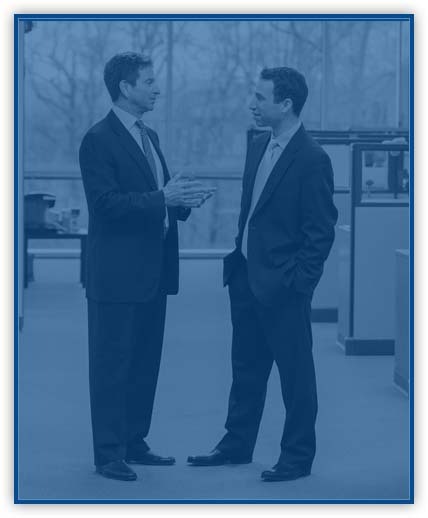 Barry M. Chasen and Benjamin T. Boscolo have both received an AV Preeminent rating from Martindale-Hubbell, and the peer rating denotes the highest level of professional excellence. Both attorneys have been practicing for more than three decades. The No Fee Guarantee® from CHASENBOSCOLO also eliminates your concerns about affording an attorney. We will represent you on a contingency fee basis, which means that you will not have to pay us one cent unless you receive a monetary award. Our firm will be committed to getting you a settlement that covers every single expense you have incurred or will incur because of your injuries. We will immediately file a lawsuit if an insurer refuses to provide adequate compensation. Other pedestrian accidents can be caused by a property owner’s failure to maintain a safe area around their building. Pedestrians could be injured by falling objects, potholes, or other hazards. People can also sustain fatal injuries in some cases. The family members of a person killed by another party’s negligence in a pedestrian accident can be entitled to seek compensation through a wrongful death lawsuit. What should I do if I’m hurt in a pedestrian accident? After any kind of pedestrian accident, you will want to make sure that you immediately receive medical attention. You should go to a hospital even if you assume that you were uninjured. Also be sure to contact a local enforcement agency to file a police report. The responding officer could issue the negligent driver a citation that may be useful in your injury case — other important steps for you to take include taking several pictures of everything involved in your accident such as the vehicle and your injuries, and securing the names and phone numbers of people who saw your accident. If you cannot take these steps because of your need for medical care, then ask a friend, family member, or neighbor to do it for you. Lastly, be sure to contact a lawyer before you speak to any insurance company. Under Virginia Code § 8.01-243.A, a person typically has two years from the date of an accident to bring an action for injuries. Exceptions do exist to this statute of limitations, however. For example, the limitations period may be tolled (delayed) when a person is mentally or physically incapacitated (such as being in a coma, for example). If the victim is a minor who cannot legally bring a claim, they will have two years to file from the date of their 18th birthday. When a person is killed in a pedestrian accident, the limitations period begins on the date of a person’s death instead of the date of the accident. Unfortunately, Virginia is one of a mere five states in the country that allows for the use of the contributory negligence defense, which provides that a person cannot recover any damages when they contributed in any way to their injuries. This element is the primary reason that people need to avoid making any statements about their accidents to insurance companies because any admission of any negligence could prohibit you from being able to recover any compensation for your injuries. According to the 2017 Virginia Traffic Crash Facts from the Virginia Highway Safety Office of the Virginia Department of Motor Vehicles (DMV), the 123,375 total crashes in Virginia included 114 pedestrians killed, 1,571 pedestrians injured, and 447 pedestrians seriously injured. The 1,608 pedestrian crashes represented 1.3 percent of all traffic crashes, but the pedestrians accounted for 13.5 percent of all traffic fatalities, 2.4 percent of all traffic injuries, and 5.9 of all severe traffic injuries. The DMV reported that 78 fatalities (68.4 percent) were in urban areas while 36 fatalities (31.6 percent) were in rural areas. As it related to road crossings, 38 fatalities (59.4 percent) were at non-intersections while 26 fatalities (40.6 percent) were at intersections. In terms of fatalities, 47 deaths (41.2 percent) occurred in darkness on unlit roads, 32 deaths (28.1 percent) occurred in darkness on lit roads, 28 deaths (24.6 percent) occurred during daylight, three deaths (2.6 percent) occurred during dusk, two deaths (1.8 percent) occurred during dawn, one death (0.9 percent) occurred in darkness in unknown lighting conditions, and one death (0.9 percent) occurred in unknown or unprovided conditions. As far as injuries, 871 deaths (55.4 percent) occurred during daylight, 379 injuries (24.1 percent) occurred in darkness on lit roads, 215 injuries (13.7 percent) occurred in darkness on unlit roads, 56 deaths (3.6 percent) occurred during dusk, 41 deaths (2.6 percent) occurred during dawn, and nine deaths (0.6 percent) occurred in darkness in unknown lighting conditions. Pedestrian actions attributed to fatalities included crossing not at an intersection in an urban setting causing 33 fatalities (29.0 percent), crossing at an intersection against a signal causing 11 fatalities (9.7 percent), walking in the roadway with traffic when sidewalks were not available causing nine fatalities (7.9 percent), standing in the roadway causing eight fatalities (7.0 percent), not in the roadway causing eight fatalities (7.0 percent), crossing at an intersection with no signal causing seven fatalities (6.1 percent), lying in the roadway causing five fatalities (4.4 percent), and crossing not at an intersection in a rural setting causing five fatalities (4.4 percent). In injury cases, crossing at an intersection with a signal caused 287 injuries (18.3 percent), crossing at an intersection with no signal caused 260 injuries (16.6 percent), crossing not at an intersection in an urban setting caused 231 injuries (14.7 percent), crossing at an intersection against a signal caused 94 injuries (6.0 percent), walking in the roadway with traffic when sidewalks were not available caused 89 injuries (5.7 percent), standing in the roadway caused 89 injuries (5.7 percent), not in the roadway caused 83 injuries (5.3 percent), coming from behind parked cars caused 40 injuries (2.6 percent), and crossing not at an intersection in a rural setting caused 39 injuries (2.5 percent). Did you sustain catastrophic injuries or was your loved one killed in a pedestrian accident in Virginia? An experienced lawyer will know how to hold a negligent party fully accountable for the damages they have caused. CHASENBOSCOLO is committed to helping injured people recover all of the compensation they need and deserve. You can have our attorney review your case when you call (703) 538-1138 or contact us online to take advantage of a free consultation.